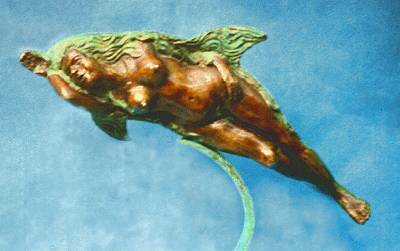 Is she a woman dreaming of becoming a dolphin, or is she a dolphin dreaming of being a woman? This is another one of my popular Shapeshifters that sold out rapidly. 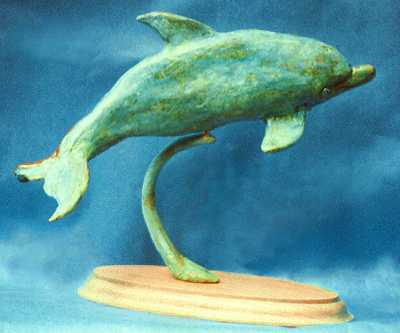 I may decide in the future to create another dolphin shapeshifter, but it would not be the same as this one. If you would be interested in knowing about her if and when I create her, please let me know.